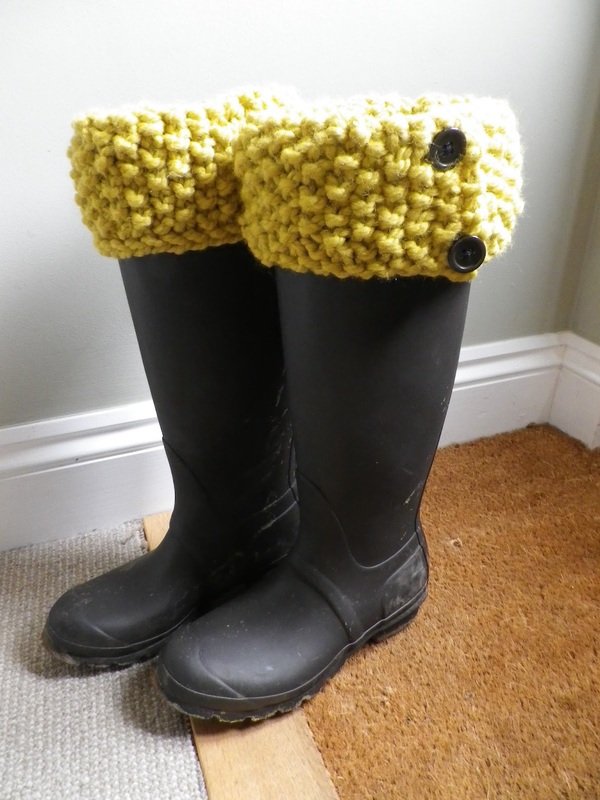 If you know me, and have had a birthday this winter, then the chances are I have knitted you some welly warmers. 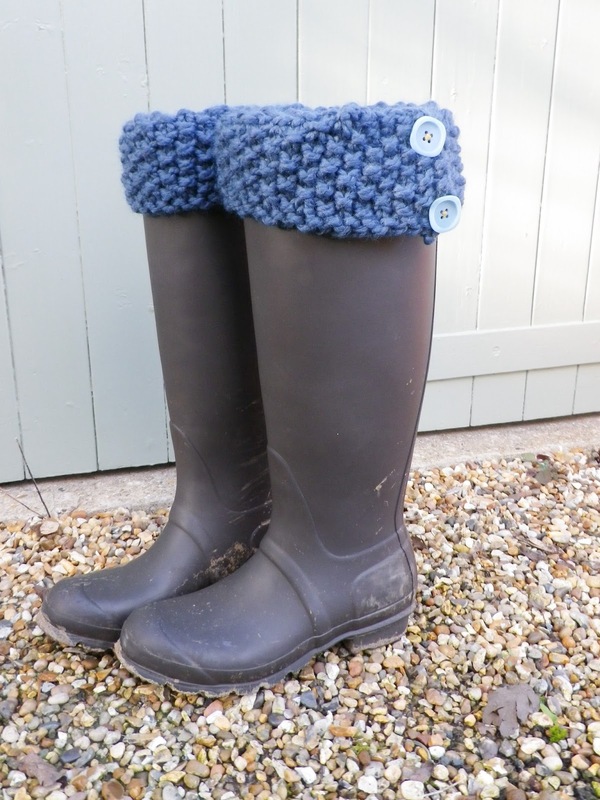 I do hope that it's not just me that loves the idea of these - my wellies gape a little around my legs, and yet I couldn't fit a super chunky pair of socks on, so the welly warmer is just the thing as it stops before the foot. I love them! Hi ..this is my first time commenting here. 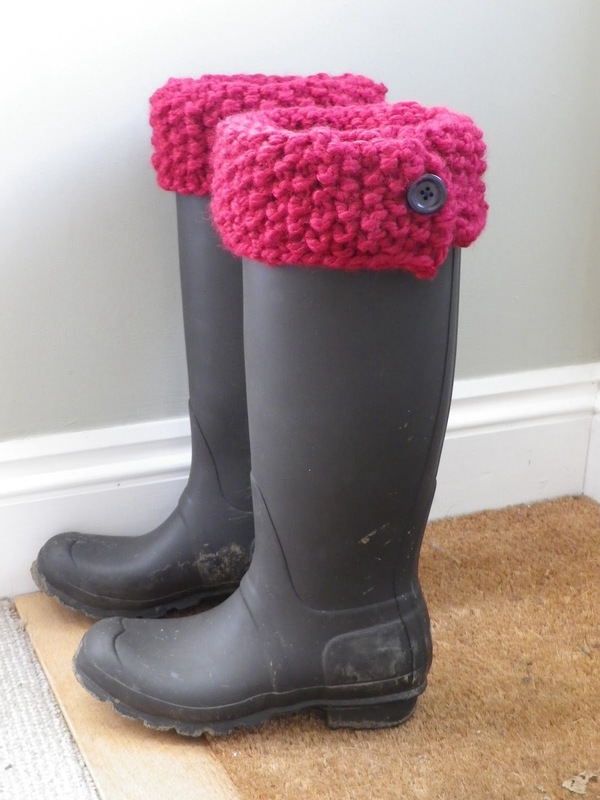 These boot toppers are looking really nice. 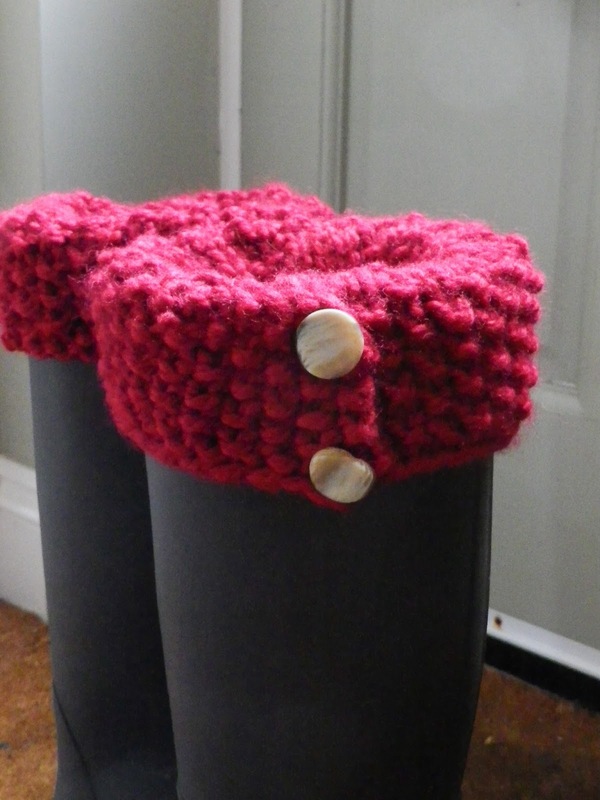 I am crocheting it too for my daughter.I like the one in denim and cranberry color. Thank you for your comment... just sorry it has taken such an age to reply! 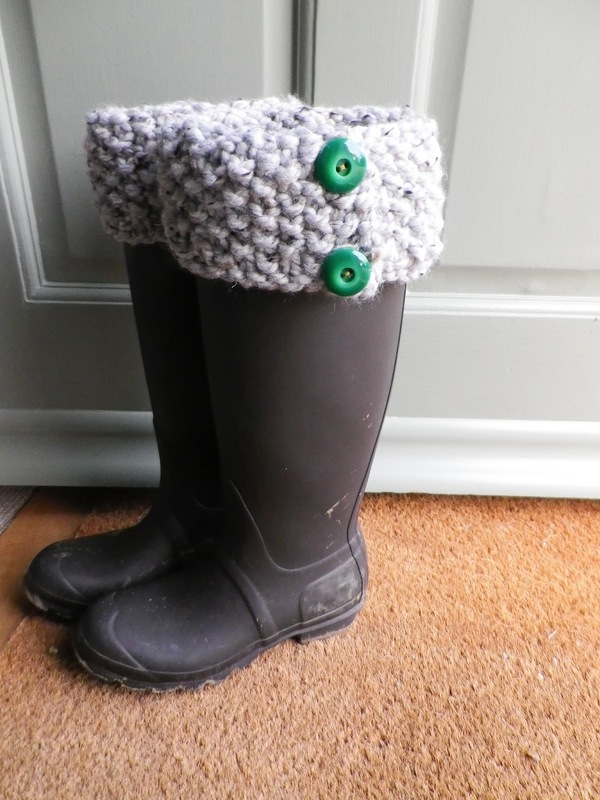 Welly warmers were a fun and quick make, though I think my favourite part may have been choosing the buttons!